When the blame game stops and reality takes over maybe then we will discover the real reason why our workers are dying at the tree face. We can all point the finger at someone else, it's so easy to do. The worker who dies cannot speak for himself, that is obvious, but some of these guys kill themselves — tough statement, you might say, so let's analyse this statement and go from there. Cycle helmets have been compulsory for twenty years or more. The reason being, when you crash, you have some head protection. My power of observation was tested in the city the other day, watching a cyclist pedal along the street with his helmet precariously perched on top of his sun cap, no strap holding it on. He might as well have not been wearing one. As responsible citizens, are we not all responsible, for every one's health and safety? Should someone have stepped out, stopped him, and told him to do up his helmet? Therefore, it goes on. While visiting a forestry crew recently, a logging truck driver hopped out to unload his trailer, wearing a perfectly-designed hard hat meant to protect his head from a solid blow, but he had it on backwards. Now, if he was hit in the head and died, do we charge the company with a breach of the OSH Act? Do we charge the managing director with manslaughter? The driver would have gone through all the necessary inductions relevant to health and safety, been supplied with the right equipment, shown how to use it and then he promptly puts his hat on backwards. Just recently, a judge ruled on a cycle death. The cyclist was wearing high-vis vest and was not seen by the driver. He also pointed out that in a number of cycle deaths over the last few years, the driver did not see the cyclist, even though they were wearing high-vis vests. Statistically, 30% of men cannot see red on green. So if the cyclist had high-vis orange riding gear on a green background of trees and shrubs, he might as well be naked for all the good it did. There was an interesting article in the NZ Herald a few weeks ago, looking into the death of a young hunter ten years ago, also wearing high-vis vest — bang, shot dead. So where is it going wrong? Here is a theory. Our children are growing up bubbled wrapped — they have no danger awareness. Society and the media have frightened parents to the point where a child cannot do anything in case they hurt themselves — no jungle gym or monkey bars, no bull rush at school, do not ride bikes on the road — it's counterproductive. There's no discipline in the home, be it verbal discipline or smacking, and the child grows up without any understanding of danger, or consequence of mistakes. The lessons that should be learned by our children before they reach the workplace are vital, but they are just not happening anymore. The young forestry worker goes to polytechnic to learn basic skills or classroom skills. Eventually, they secure a job in a logging crew. He is then bubble-wrapped in hard hat, steel-capped boots, chainsaw-resistant chaps, radio, first aid kit, safety mitt and chain-brake on the chainsaw, chain catcher, induction programme, and high-vis clothing. Then off to work he goes, thinking he is perfectly safe because he has all this safety equipment on. been exposed to any danger in his life, his reactionary instincts will not be honed. Life experience is the only way to get these workers up to speed, even if it means showing them graphic video footage of serious accidents. We have the technology to build simulators for New Zealand Logging. Those wanting to get into the industry need to reach a certain standard before they're inducted. Jet pilots still go into simulators after they are qualified for refresher courses and so should forestry workers. If we set a pass mark for loggers that they fail to reach — say the prospective logger keeps cutting himself, or killing himself or colleagues in the simulator — then no job. Simple. Eight loggers have died this year. Most recently a 63-year-old cutter from Murapara, a family man with young children. Is this too old to work in this industry? Maybe, but who is going to be the judge. We are all different and we need the experience of these older guys to pass on their knowledge. There are those out there that keep blaming the government and I'm not sure what they base this on. There is one issue with government: Rogernomics and the Labour government introduced a free market economy into New Zealand. Companies are now profit driven and have to be competitive with the rest of the world. National coalition, workers are still dying.The whole system needs a revamp. Under this workplace health safety law, there is nothing but punishment promised to those who break the law, and they get smacked with a huge financial stick, but where is the reward for getting it right? 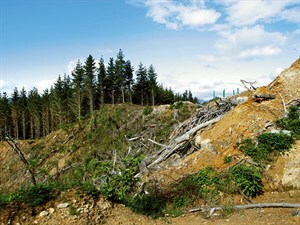 Has anyone asked where the money is coming from for the logging industry to develop a safe code of practice? Sometimes a worker kills himself, we have to accept that it's nobody's fault. He took a chance and it killed him. Each individual forestry worker has a choice while carrying out his duties. If he deems a part of his job is unsafe, then do not do it — go for help instead. It is simple. I reckon that the male species has too much macho in them and going for help could be deemed weak. Better to be deemed weak and alive, than macho and dead.